Get 20% Off Our Age-Defying Natural Mineral Powder For 7 Days! Our special offer has ended! Feel free to visit our store for other exclusive deals and offers. Click on the link below to get 20% off for 7 days! 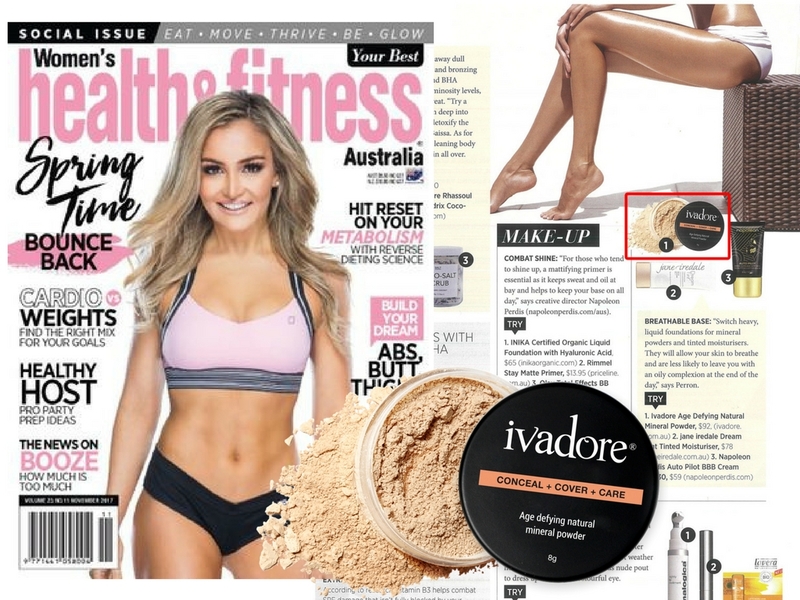 Our Age Defying Mineral Powders are featured in Women's Health & Fitness Magazine as a summer beauty solution that will let your skin breathe and prevent you from having an oily looking complexion. Try it today and be ready for summer! Mica is used as the base for our mineral powders as it helps to give the skin a flawless look without clogging the pores, which some other generic makeup products do, counteracting the benefits of any skincare routine. Vegetable Squalene is responsible for the age-defying powers of the mineral powders. It is found naturally in the body, but depletes with age, especially from about 30 onward, which causes the skin to become drier, contributing to ageing. This amazing ingredient is non-comedonal which means it will not clog the pores either. It also helps to fight free-radicals preventing pre-mature ageing and it has also been shown to aid with uneven skin pigmentation, scars, and age spots. 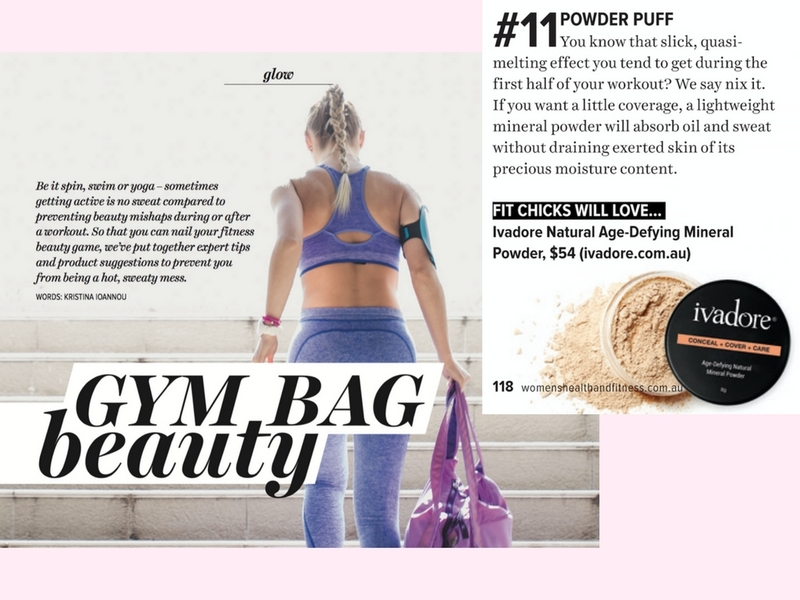 Our Age Defying Mineral Powder featured in Women's Health & Fitness Magazine for the second time since it launched it last September! This time around it has been included as A Gym Bag Beauty Essential for lightweight coverage to absorb oil and sweat without draining moisture. Get your full-size or sample in our store and experience the difference of using a natural, mineral based foundation everyday! We’re extremely proud to announce that our Age-Defying Mineral Powder has been crowned The Winner in the Foundation category in Nature & Health Magazine’s 2018 Beauty Awards. “I’m so extraordinarily proud that our Age-Defying Mineral Powder has taken out the winning spot in the Foundation category in the Nature and Health 2018 Beauty Awards. To win any award is a great honour, but to win in what I’m sure would have been incredibly competitive category is truly exciting especially since it is our very first makeup product! " Liquid Foundation or Powder? 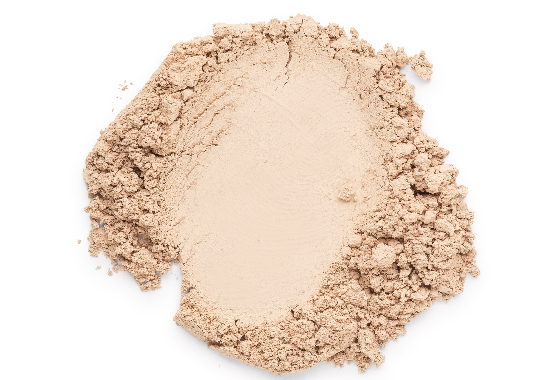 It’s the age-old choice, but did you know our Mineral Powder can be both? Our Founder Tanya Felli designed it so that when it is mixed with the LOVE oil treatment it becomes a liquid foundation unlike any other because not only does it deliver superb coverage the LOVE oil treatment still goes to work caring for your skin and nourishing it all day long. Now that’s versatility! 20% OFF Any Love Oil & Mineral Powder! Choose Your Skin Type Below & Use the Code POWDERLOVE to Redeem! 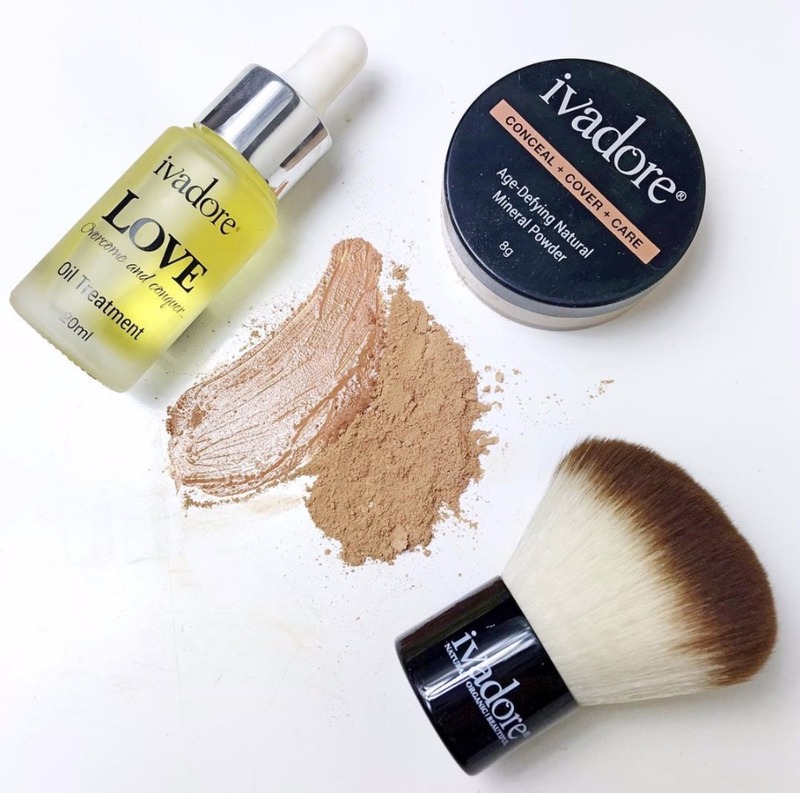 Give your skin the affection it deserves with ivadore’s deluxe oil treatment designed to soothe, nourish, hydrate and protect the skin and provide extra support for Mature/Dry/Dull or Tired skin types. It not only features an array of natures most powerful oils including Organic Camellia Oil, Organic Shea Oil and Organic Marula Oil but goes further to nourish devitalised and mature skin with superfood oils such as Acai and Goji Berry powerful in Antioxidants that will work on protecting your skin and provide nutrients that are needed to restore vital moisture helping you to achieve a smooth supple looking complexion. Give your skin the affection it deserves with ivadore’s deluxe oil treatment. It not only features an array of natures most powerful oils including Organic Camellia Oil, Organic Shea Oil and Organic Marula Oil but goes further by combining Parsley and Celery to combat Oily/Combination/Congested & problematic skin types. "I absolutely love this product. I have been using the mineral powder now for over a year and a half and will not give it up. It’s subtle, soft, moisturisers my skin and helps with ageing. I have recently started to use the serum and love the smell, and texture of this product. It really smooths the skin and is a product I will also continue to not do without. "I have used many of Ivadores products and love them! My favorite is the mineral foundation, it’s so amazing, it can be full coverage or as sheer as you like, it makes my skin glow, and is suitable for my super sensitive, eczema prone skin. Thank you!" 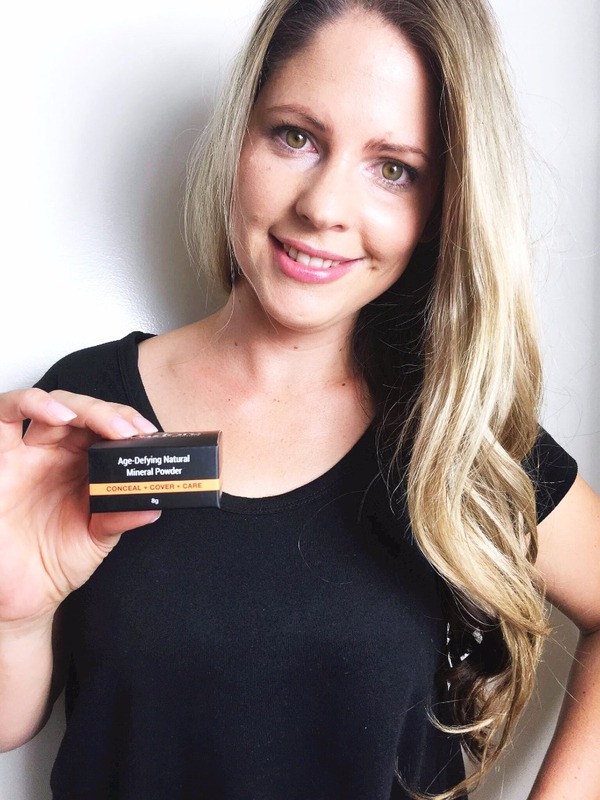 "Make up review I tried the age defying mineral powder and I absolutely love it, I can't wait to order the full size one." "Adore the coverage this makeup provided whilst being silky and lightweight. The colour was great for my very fair complexion and I usually find it hard to find foundation that isn't too dark but still gives me a healthy glow." "I just got my long awaited age-defying mineral powder in medium shade and it delivers as promised! I have olive complexion with oily T-zone and prefer matt coverage, but this power gives me a natural look with good coverage, without looking too thick or too shiny. I cannot wait to receive my full size powder!" "Loved the mineral makeup. With only a light application it gave great coverage. I was surprised how easily it covered up my blemishes and how seemed to hydrate the dry patches I have at the moment." 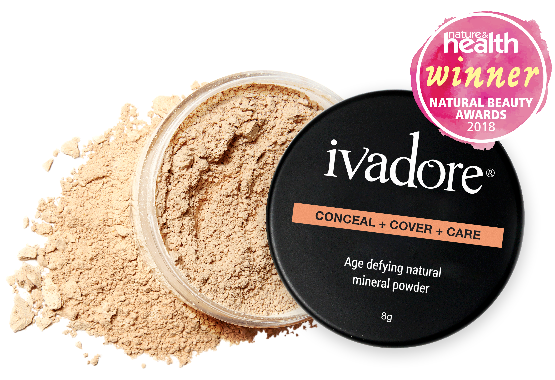 "I was thrilled to win a sample of ivadore's new Age-Defying mineral powder as I've been impressed with the high quality of their other products but I was also a little skeptical about the claim that it can replace the use of concealer as well as provide full coverage. I followed the tip to apply a little LOVE Oil to my face first and not only does a little powder go a long way, it actually does do what it claims and for the first time ever I have not had to use a separate concealer to cover my under-eye dark shadows and broken capillaries around my nose and cheeks without it "caking" or sinking into my fine lines. It lasts all day, is so quick and easy in the mornings and best of all, I love knowing it's healthy for my skin !" "I've never been so impressed with new products before EVER, and I try pretty much everything new that is good for my skin (with varying results). 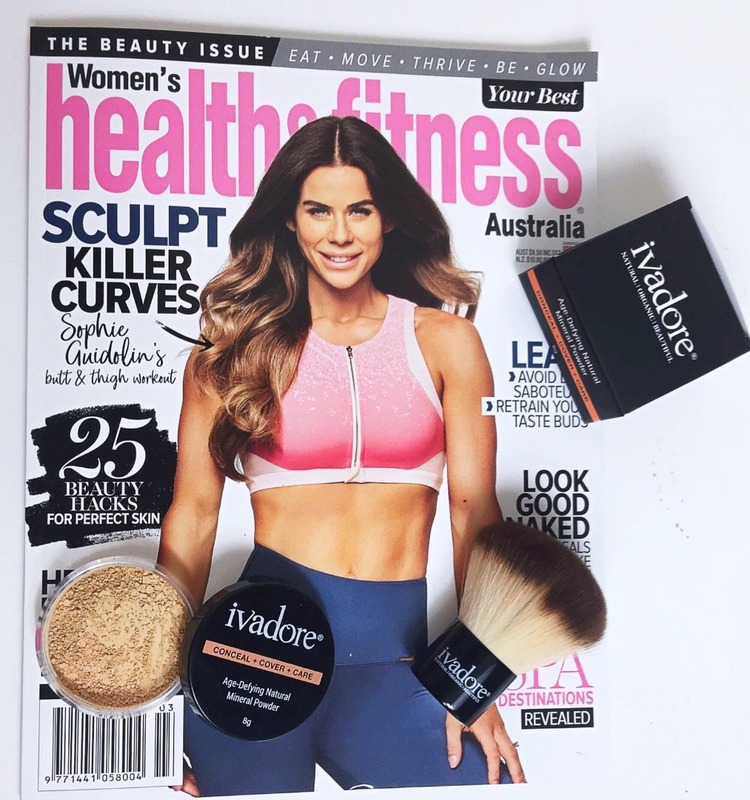 I was happy with my existing chemical-free Aussie tan but couldn't resist the hype around ivadore's product so I tried it. I love it. I love it even more combined with the Body Combat! Next was the mineral powder sample - boom!... I'm hooked. It's so light weight but gives great coverage. I'm 48 and thought I was too old to use face powder anymore but this doesn't look powdery and doesn't accentuate those fine lines. As good as all these products are, I still wasn't prepared for how beautiful the skin care range is. My face feels incredible and every time I look in the mirror I think I've been air brushed! ;))) This entire range is truly stunning. Spend the money - you'll be glad you did! With so much gratitude - thank you. I'm one very happy customer."